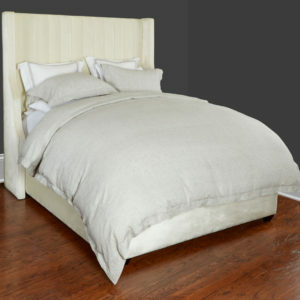 Custom Upholstered Beds by Downtown Company. 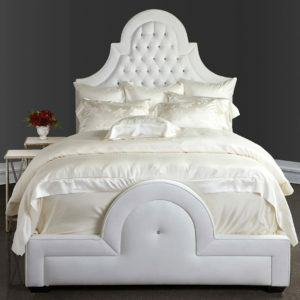 DownTown Company offers to you the most luxurious custom upholstered beds produced in Canada by the finest craftsmen. Select designs from our contemporary collection with sleek clean lines, unique old world traditional styles, or the Hollywood style with crystal buttons. 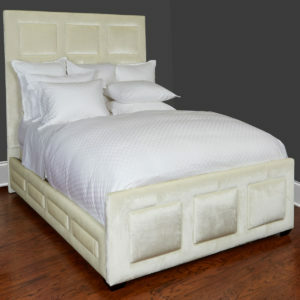 Tufted headboard & footboard with nail head trim designs are also available. Each bed is made of solid hardwood construction, upholstered with the highest quality of density foam covered with a selection of over 20 beautiful colorful & durable fabrics. You may also provide your own fabrics for a custom designer style of your own. 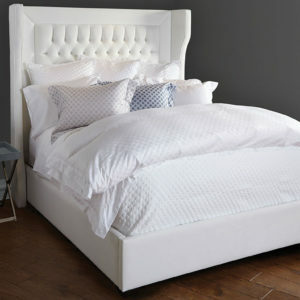 Easy to assemble, the complete upholstered beds are available in upholstered headboard, footboard, 2 side rails, the wooden slat supports are included. 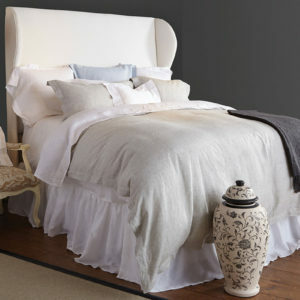 Some style are available in headboards only. Please visit our website periodically as we will be adding more styles.